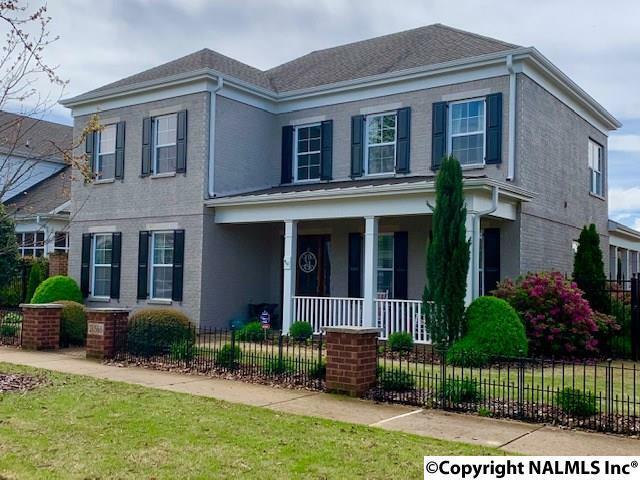 This Beautiful Home is conveniently located near I-565, the new Research Park West and Redstone Arsenal. The Architectural Style includes 12â ceilings, crown molding and hardwood floors. A formal Dining Room, eat in Kitchen with granite countertops, and Jenn-Air appliances. Main floor Master Suite, master bath with double vanities, spa tub, separate shower and customized walk in closet. The upper level has 2 bedrooms, an Extra-large bonus room for a 4th bedroom/home office/guest room and 2 full baths. Laundry Room has sink and built in cabinets. Covered Front porch and Private Side Porch with a built in gas grill. The beautiful landscaped courtyard includes a fireplace and water feature.